While we are enjoying grilling outdoors, munching on watermelon, and lounging by the pool, the stores are reminding us (screaming at us) that Back to School season is upon us! 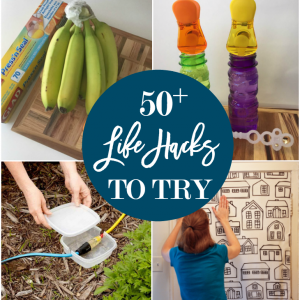 If you haven’t already, now is the time to work on that DIY study space for your kiddos. 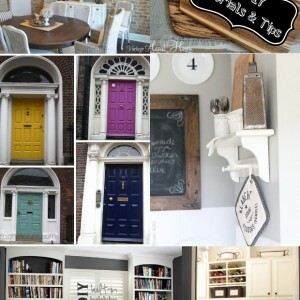 I have rounded up 20 DIY study space ideas that fit all budgets and skill levels. Study spaces do not have to take up a lot of space and they do not need to be expensive to create. 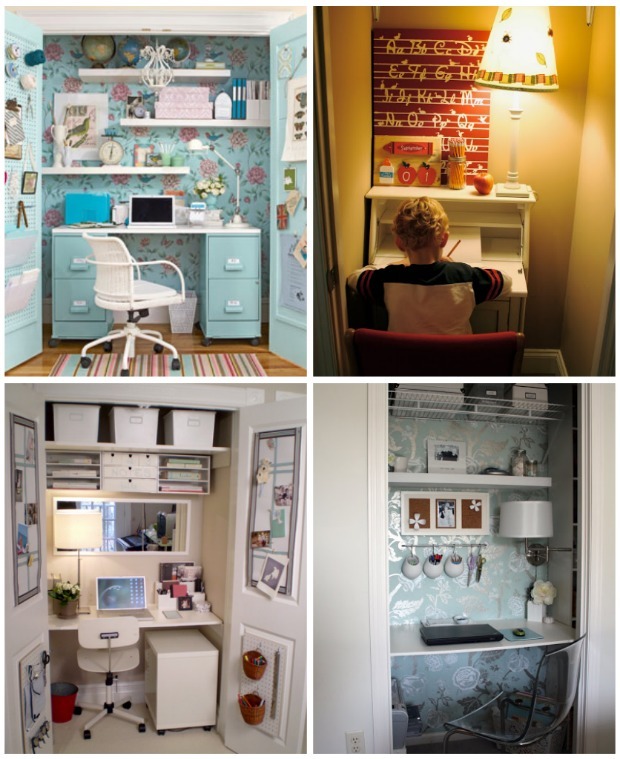 If you have a small closet that can be repurposed into a “cloffice“, then consider making your own closet office this school year. With a few pieces of MDF and L-brackets, you can easily create a workspace area. Consider adding pegboard to the closet doors for additional storage and organization of office supplies. If using a closet in the home isn’t an option, look for other small areas in your home that have “study nook potential”. Oftentimes, there is an awkward space at the top of staircases that is perfect for the creation of a study area. A bookshelf and table can be reconfigured into a double-sided workspace with some DIY ingenuity. Saw the table in half and attach the table to the bookcase using L-brackets. The back of the bookshelf can be covered in cork-board, chalkboard paint, or pegboard to create a usable “wall”. Hang baskets on the side of the bookcase for storage. 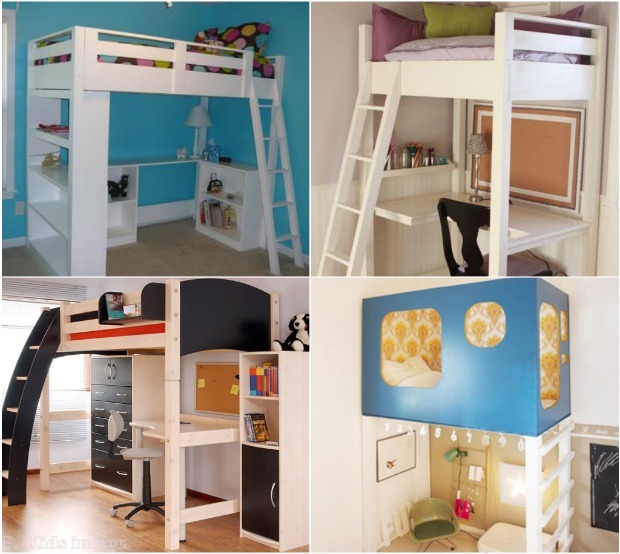 Sleeping on a loft bed is a treat for most kids, not to mention an efficient use of bedroom space. Ana White provides many free DIY loft bed plans for the adventurous DIY’er. Building a study space under the bed allows your tween, teen, or college student a functional workspace within their own bedroom. Most families face the challenge of providing study spaces for multiple children at the same time. 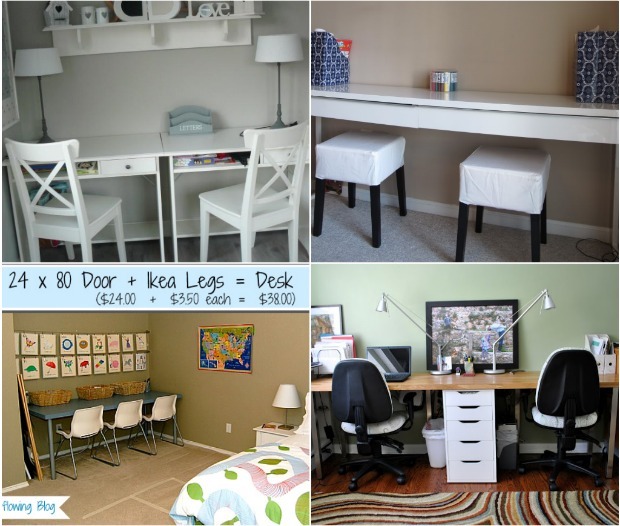 Whether you homeschool or need a space for homework hour, these budget study space ideas are sure to inspire. Long narrow desks, butcher block countertop, or two small desks side-by-side, can be used to create a workspace up against a wall. I love the idea of using an old door and attaching legs to create a desk area for little ones to work. 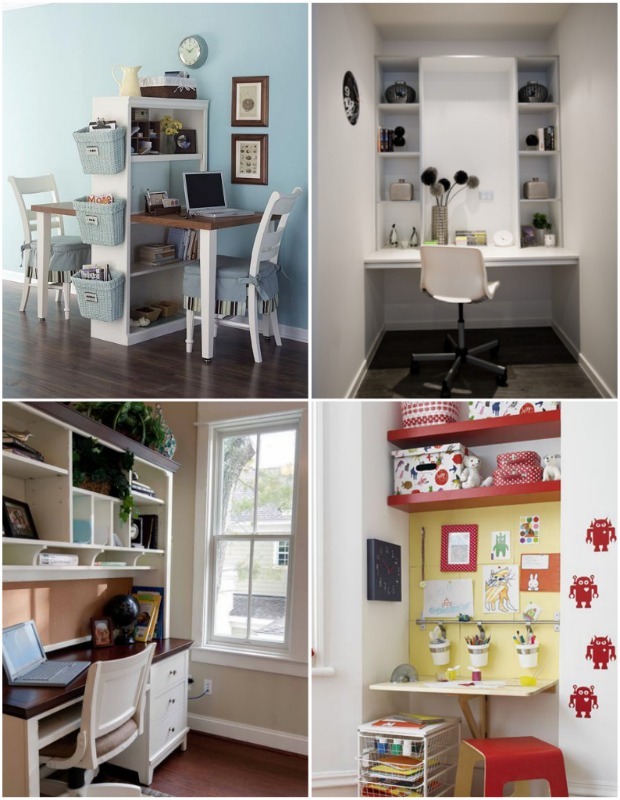 If you have a larger budget, consider creating more elaborate built-ins for your study space. A storage bench on casters can be tucked under a desk between bookshelves for a functional work area. Bookshelves backed with cork board can be placed perpendicularly to the wall to create multiple work spaces. Add desks between each bookshelf and place a large cork board or peg board above each desk for more organizational space. 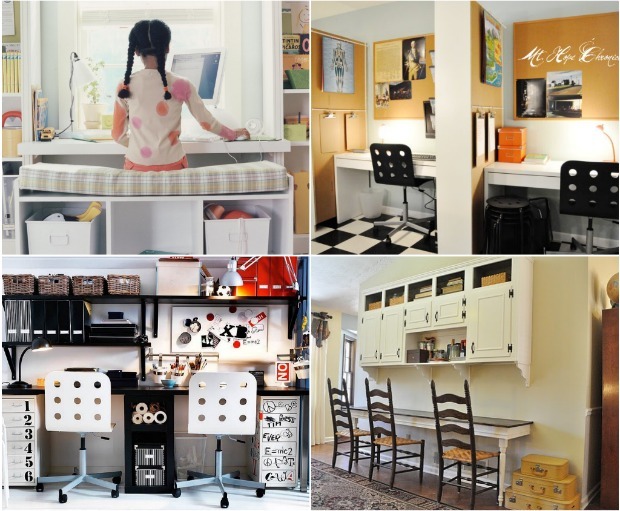 Another DIY study space idea is to place file cabinets between a countertop desk, with wall shelves above. And I especially love the idea of using cabinets above a narrow built-in desk. 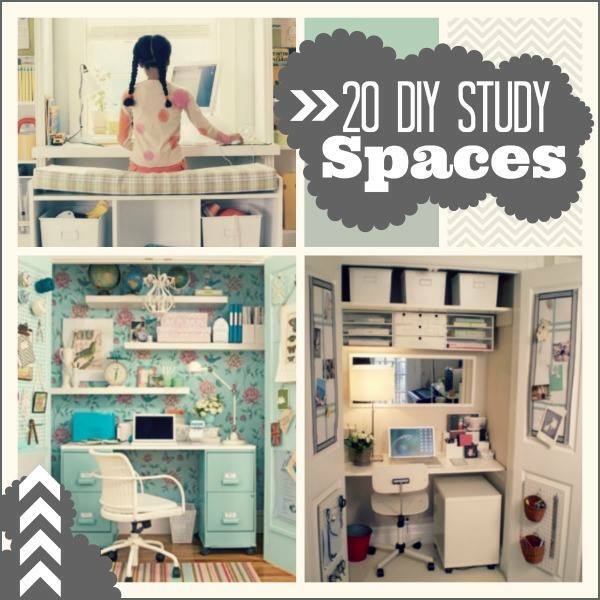 Whether or not your budget is large or small, and whether or not your DIY abilities are beginning to advanced, there is a DIY study space solution for your student. 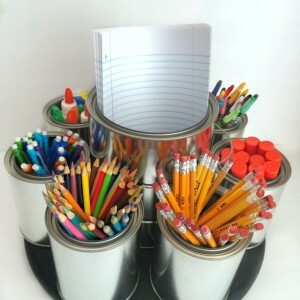 I hope you feel inspired to DIY your own homework area this school year.